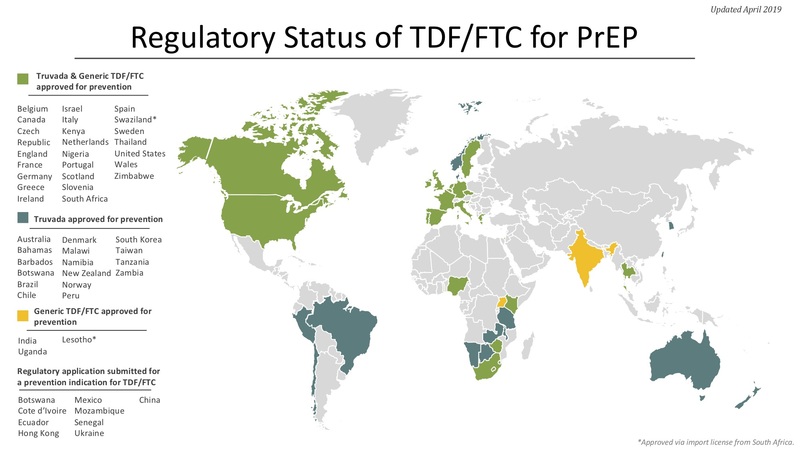 The TDF/FTC combination pill (brand-name Truvada) that has shown efficacy for PrEP is already used for treatment in HIV-positive people, and so is approved and licensed in many countries. One key step for this PrEP strategy is to ensure that the drug is licensed (and therefore available) and that it is approved for use for both prevention and treatment in each country. National guidelines for PrEP use are another key step.